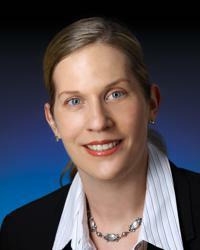 Erin Felger, MD, is an attending endocrine surgeon affiliated with MedStar Washington Hospital Center and MedStar Georgetown University Hospital. She is Associate Professor of Clinical Surgery at Georgetown University and a member of the American Association of Endocrine Surgeons, the American Head & Neck Society, and the Association for Academic Surgery. Dr. Felger is also a Fellow of the American College of Surgeons. As an endocrine surgeon, Dr. Felger specializes in the removal of the thyroid, parathyroid, and adrenal glands for the treatment of both benign and malignant conditions. Her techniques include retroperitoneal access for the removal of the adrenal glands and transoral access for the removal of the thyroid and parathyroid. When used in the appropriate situation, transoral access allows for the removal of the thyroid and parathyroid gland without leaving a scar on the neck. After receiving her medical degree from Northwestern University Medical School, Dr. Felger completed her general surgery residency with University of North Carolina Hospitals, where she was Chief Resident. Following her residency training, Dr. Felger joined the Navy and served as a general surgeon in Guantanamo Bay Cuba, Iraq, and Camp Pendleton. After three years of service in the Navy, Dr. Felger completed a specialty fellowship in endocrine surgery at the John Hopkins University School of Medicine before joining Medstar. Dr. Felger is heavily involved in the education of medical students and residents in training. She is currently Associate Program Director for Surgical Residency at MedStar Washington, Director for the third year surgical clerkship at MedStar Washington Hospital Center and Director of Simulation for surgical residents. In addition, Dr. Felger serves as a mentor to Georgetown University School of Medicine medical students rotating on service. Her dedication to improving education for medical and resident students in training has led Dr. Felger to create a patent in simulation training called Systems and Methods for Thyroid Surgery Simulation. This program provides hands on education in thyroid endocrine surgical intervention for medical students and residents in training. Dr. Felger has received numerous awards that recognize her passion for education, including the Edward E. Cornell, MD, Award for Teacher of the Year from MedStar Washington Hospital Center. She was also a Golden Apple Teaching Award Nominee twice at Georgetown University Hospital. Dr. Felger has a body of clinical and educational research which has been presented and published, and she is an ad hoc reviewer for the Journal of Clinical Endocrinology & Metabolism, Thyroid, and Head & Neck.